This guide will accompany you on a journey into the past to discover the ancient magnificence of the Roman Florentia. The visit was carefully planned to allow you to retrace the principal phases of the discovery and the most important findings of the Roman city. Florence hides the memory of its past splendors: the defensive walls, the aqueduct, the theatre and amphitheater, the forum, the remains of paleo-Christian churches. Together we will discover how the modern town of Florence was modeled over the ancient urban structure, and how its monumental constructions were incorporated in Medieval and Renaissance buildings. We will immerse ourselves in the places where the Romans led their daily lives: from the workshops and fulleries, to the places of worship, such as the Capitolium and the Temple of Isis. This audio guide is the result of the re-elaboration and revision of the archaeological map “Florence and its Province: the Archaeological Locations” produced by the Municipality of Florence. So, all that is left for us to do is to wish you a pleasant visit! 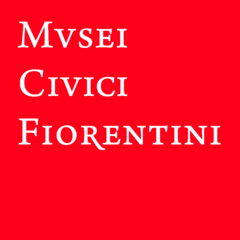 This audio guide was produced by the Florentine Civic Museums, directed by Laura Longo. Good, but it could have been even better if there had been some explanations at the photographs shown.